With the Nintendo Switch being the hot property on the gaming market, Nintendo 3DS sales have obviously suffered somewhat. Nintendo has announced today that it has slashed the sales forecast for the trusty handheld from 4 million units down to 2.6 million. The Nintendo 3DS software sales forecast was also decreased from 16 million to 13 million. So no more new games will be developed for the 3DS I mean good and interesting games, considering they cost almost 200 dollars. That’s been the case since like 2017, lol. Is this Nintendo 3DS bidding farewell? Anyway, 20 million is pretty ambitious of them but hey what are the odds. As if 17 million wasn’t great at all, it’s already a win-win for Nintendo. But if it was somewhere in between, they could have pleased the investors more. I feel sorry for Nintendo’s mobile and 3DS efforts. Thankfully, the Switch had their back. wau… I thought mobile gaming market would bring more cash than 4%. Im not sure but this is very disappointing or am I wrong? That the 3ds will suffer everybody knows… but just 4%? So with the 3 mobile games Nintendo makes 4%… hmmm bring more games… or make it cheaper… or did the make that much money with the switch… I still can’t believe it. It isn’t really that hard to get. With Switch Nintendo is selling a bunch of hardware and software. With mobile, it’s only software and only 4 games at that. Member when everyone thought the 3DS would continue just on and on after the Switch? I member. There are STILL defiant fanboys who continue to insist that the 3DS is going to do just that despite the numbers saying otherwise. You don’t need to have a 200 IQ to go into a place like Target and see how little floor space they’re giving the 3DS now. It’s barely alive, and really for all intents and purposes, it’s a dead system. Nintendo and their fanboys just refuse to admit it, but the Switch is, was, and will always be the 3DS’s successor. 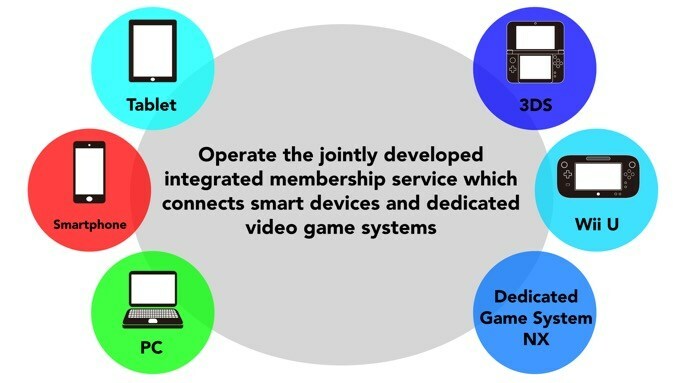 To add to that, the WiiU was supposed to co-exist side by side with the both the Switch & 3DS. its so sad seeing the 3ds on its deathbed. Agreed. Wouldn’t it be so nice if Nintendo decided to release 1 final game for it for an epic finale? except Nintendo continues to act like it’s doing just fine. In fact in their quarterly report they repeated themselves again- “we plan to grow the install base by leveraging its rich software with a growing hardware”- growing?? This thing is likely being bought by those who are replacing their breaking old versions! Nintendo’s completely oblivious right now. Plus, you know what, if you add the 17 million forecast for Switch and 2.6 for 3DS, there’s your near 20 million that Switch would have done. This proves 3DS IS holding Switch back, Luigi’s Mansion on it may have been the extra couple million, but instead it got wasted on the dying 3DS. Shame too. EVERYTHING YOU SAID WAS %100 TRUE!!! Not only that but I don’t think the name was a very good indicator that it was an upgrade to the OG 3DS — like how the “U” in “WiiU” was not a good indicator of it being a new gen console; the word, “NEW” in “New3DS” was not enough for the general public to be perceive it as an upgraded console. IMO, This probably had some sort of impact with it’s life cycle. 3 years into the Switch’s life & the 3DS is still selling a few here & there and still getting some games here & there. But it was only a matter of time before it started to slowly simmer out. NOW people can talk about how the 3DS is going to be retired soon. They jumped the gun with saying the 3DS was going to be retired back during the Switch’s first year & for most of it’s second year. The 3DS’s last gasp is probably finally upon us. One day, people will stop believing Nintendo when they say that there new systems won’t replace the old ones.